Understanding the feasibility of different CO2 capture technologies and their integration with geological storage enables funding of those projects most likely to succeed. 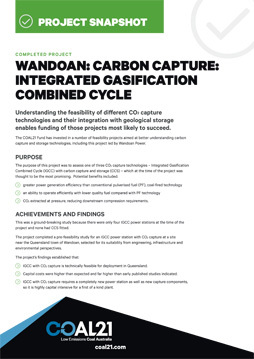 The COAL21 Fund has invested in a number of feasibility projects aimed at better understanding carbon capture and storage technologies, including this project led by Wandoan Power. CO2 extracted at pressure, reducing downstream compression requirements. This was a ground-breaking study because there were only four IGCC power stations at the time of the project and none had CCS fitted. 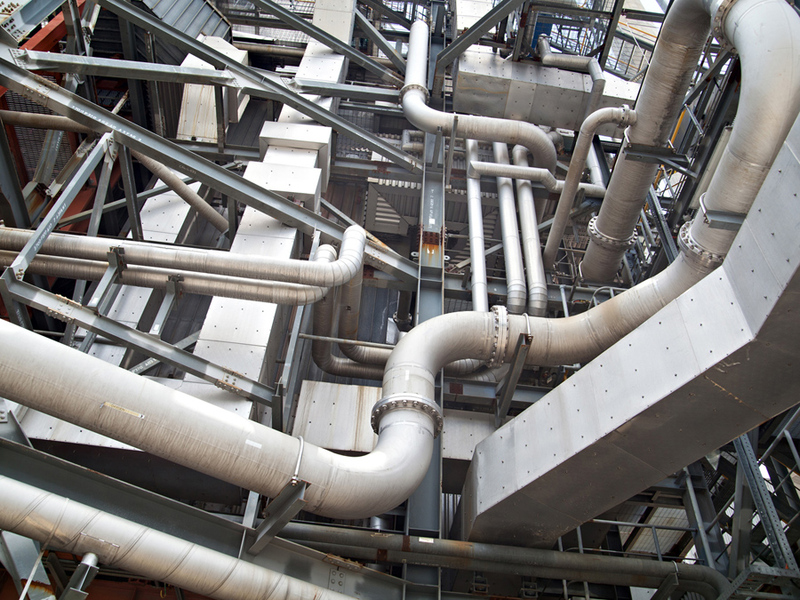 The project completed a pre-feasibility study for an IGCC power station with CO2 capture at a site near the Queensland town of Wandoan, selected for its suitability from engineering, infrastructure and environmental perspectives. IGCC with CO2 capture is technically feasible for deployment in Queensland. Capital costs were higher than expected and far higher than early published studies indicated. IGCC with CO2 capture requires a completely new power station as well as new capture components, so it is highly capital intensive for a first of a kind plant. These findings confirmed similar findings from the ZeroGen: Carbon Capture: Integrated Gasification Combined Cycle Project which also concluded that IGCC with CCS is technically feasible, but costs too much. While IGCC can be configured to produce multiple products such as electricity, liquid fuels, chemicals and fertilisers and may have future application, its capital costs are not justified for electricity generation alone. IGCC may be a prospective technology in the future. In view of these findings, the COAL21 Fund now considers PCC and oxyfuel the primary CO2 capture options for the foreseeable future. The project started in 2008 and ran for two years until 2010. It concluded earlier than expected due to its finding that while IGCC with CCS is technically feasible, it is too costly given the requirement to build both the power station as well as the capture components at full scale.